A hearing before Belgium’s constitutional court shed no light on whether judges would strike down a law that has effectively banned the production of kosher and halal meat in most of the country. More than a year and a half after passage of the controversial legislation, a ruling that the law violates protections for the free practice of religion has become the only hope for Jewish and Muslim groups to annul the law that spokesmen for both communities have said creates not only a serious imposition, but sends a message that religious minorities are not welcome in Belgium. For several hours on Wednesday, judges heard arguments from lawyers representing two Jewish umbrella organizations, two Muslim groups, and from several interveners challenging the law, as well as from those who argued on behalf of the government in favor of the law. Yet, barely a peep was heard from the ten-judge panel. Typically, cases brought before the Council of State — the country’s high court — are decided based on a review of written briefs. However, judges can call for an oral hearing, as they did in this instance. During the session, attorneys summarized the arguments submitted in briefs in December 2017, when the case was filed. Key points that Jewish groups have made are that, in addition to the law’s violation of freedom of religion, the law inhibits the professions of shochtim and kosher butchers and discriminates against Jews and Muslims. Briefs also cite fishermen and hunters as examples of groups who kill animals in different ways but are unfettered by the law. Despite the court’s silence on Wednesday, opponents of the law do have cause for optimism. 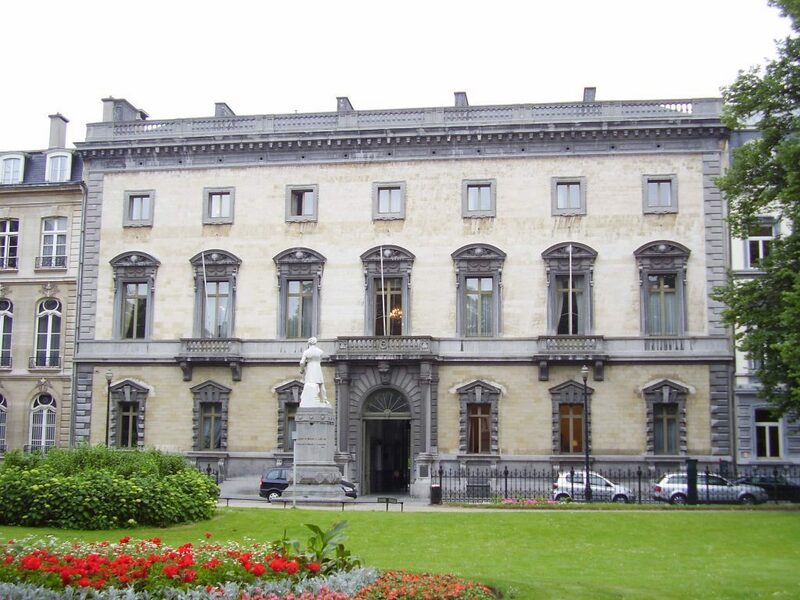 In February 2017, when asked in an advisory capacity if a draft of the bill then being considered by the parliament of the French-speaking Wallonia region would pass constitutional muster, a three-judge panel wrote that it would “contradict basic human rights laws and religious rights.” The court later reached a similar conclusion about parallel legislation that eventually passed in the Flemish-speaking Flanders region’s parliament. Animal rights activists lobbied heavily for the law; increasingly, they have joined forces on the issue with nationalist elements seeking to ban religious slaughter as a means of curbing the size and influence of Muslim communities in Europe. Supporters have denied that the law is guided by ulterior motives, but several statements by advocates have carried anti-religious messages. “I’m sorry, in Belgium the law is above religion and that will stay like that,” she told the newspaper. The ban has enjoyed wide popular support in the general Belgian population and passed both the Flemish and Walloon parliaments by large margins. Belgium requires that all animals be electronically stunned before slaughter, but in the past gave exemptions for kosher and halal slaughter, which both forbid the practice. The present law ended those exceptions, and has made it impossible for Jews and Muslims to produce meat according to their religious laws in both Wallonia and Flanders. Religious slaughter methods remain legal in Belgium’s third semi-autonomous region, its capitol city, Brussels. In Flanders, home to one of Europe’s largest Orthodox populations in its regional capital of Antwerp, the ban took effect only a few weeks ago, on January 1. While the community’s main slaughterhouse has remained in operation in Brussels, a facility that had supplied much of its poultry was forced to move its operations from Flanders to Hungary. Challengers claim that the law violates not only Belgium’s constitution, but the European Union’s (EU) Charter of Rights as well. The high court will likely release some response on the case in the coming months, but it might avoid a decision for the time being by referring the matter to the EU’s Court of Justice in Luxemburg. Should they take this route, a final decision could be delayed by more than a year. “We believe very strongly that this law violates enough national principles for the court to quash it on those lines, but the due to the political sensitivity, it could very well end up at the EU,” said Mr. Benizri.